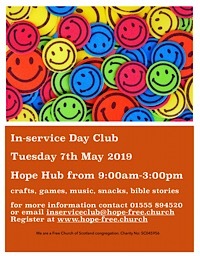 Hope Church is a new kind of church. We began in March 2014. We are a church with roots in the past but with our eyes fixed on the future. We preach the Bible and strive to practise what it says, firmly believing that it is God’s Word and therefore eternally relevant. We are part of the Free Church of Scotland and hold to the precious truths of the Reformation but present them in ways which are accessible to 21st century people. Our worship style is a mix of the traditional and the contemporary. Our objectives are to reach others with the transforming good news about Jesus Christ and to create disciples who are committed to Him. Therefore studying the Bible and praying together are important to us. 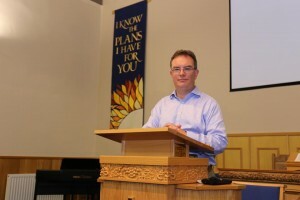 My name is Ian Watson and it is my privilege to be Minister at Hope Church.